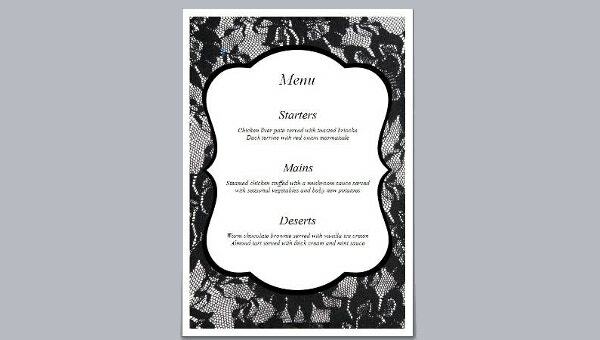 An event menu is the sheet that lists all the food items available for serving in a particular gathering. The food items may be arranged depending on the food group where they belong or the courses that are offered by the menu selection. There are many ways that an event menu may be presented and there are also a lot of designs that you can incorporate on the said document. We can provide you with samples of an event menu usable for different occasions and celebrations. 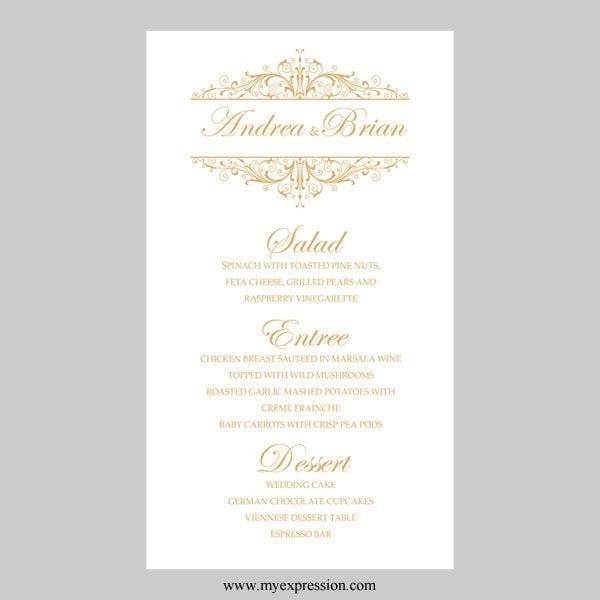 Other than that, we also have downloadable samples of Free Menu Templates, which you may use as references in creating other menu listings for various functions that you will organize or host. Dinner event menus are used to list all the food items that can be served in a dinner function. These events are usually formal gatherings or a private get together of individuals in a particular sector or group. Special event menus are prepared for different kinds of celebrations like weddings and birthdays. 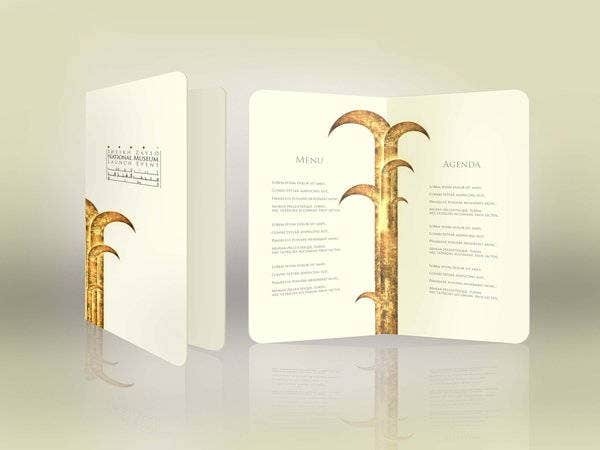 These kind of event menus follow the theme of the event when applying the design for the particular sheet. Corporate event menus are simpler and more business-like compared to those that are used during occasions. 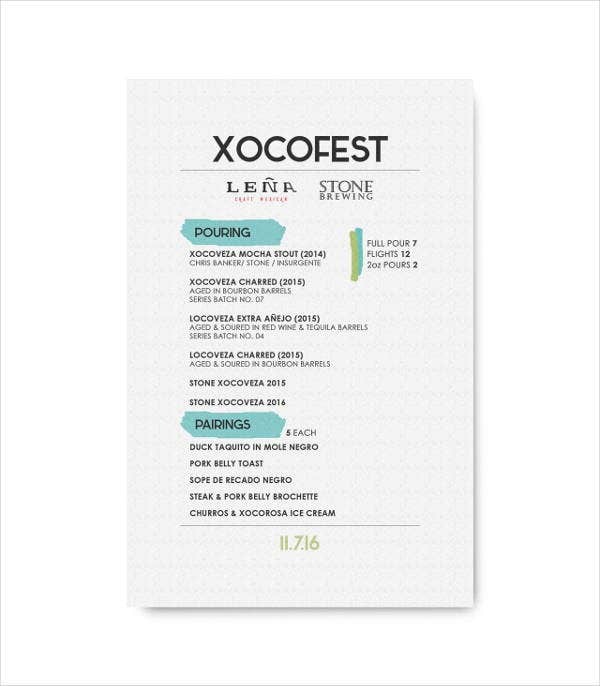 These event menus use minimal design templates which are commonly only a variation of a few lines and color blocking. Holiday event menus are used to present all the food served during special holidays where people get together to celebrate and enjoy. 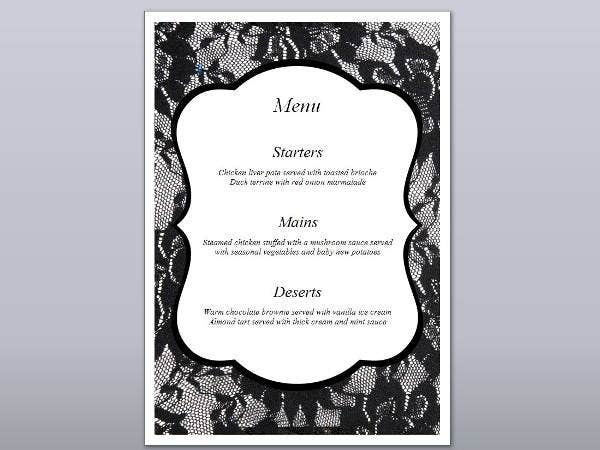 Other than our event menu samples and templates, you may also be interested to browse through and download our samples of Valentines Menu Templates. 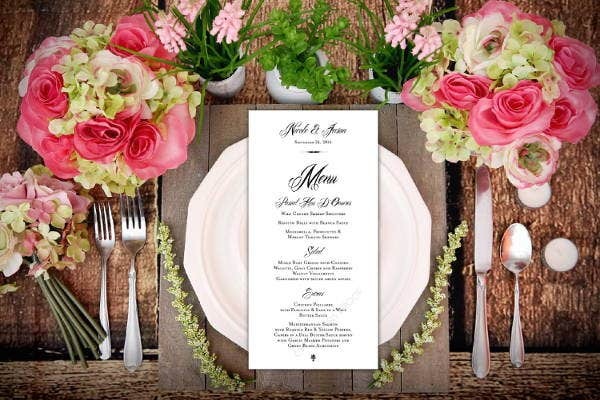 It can be a document that the catering supplier will provide to its client for the selection of the food items that they will acquire for the event that they will host. It can be a list of the food items present in a buffet spread. It can include only the specific menu selection of the organizer or host of the party. Describe the food items that are present in the event menu, which may include the ingredients used in every food item. Group the food items accordingly and use a design that will complement the groupings made. Follow the theme of the event where the menu will be used for cohesion. Assure that all the food items present in the menu is available for serving. 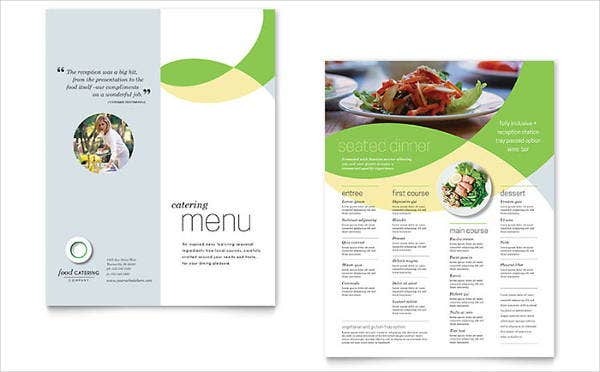 Use a design that will not overpower the menu items. 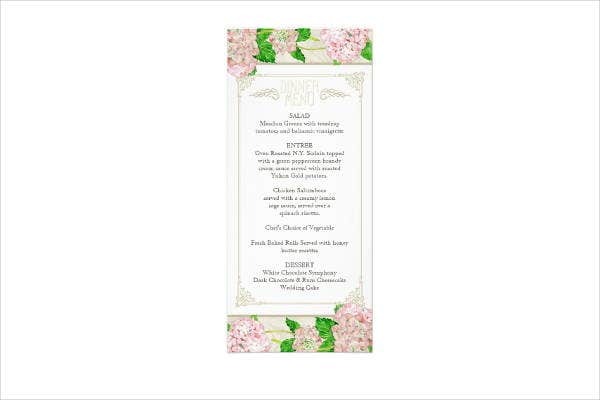 Aside from our event menu samples, our samples of Tea Party Menu Templates are also available for download.